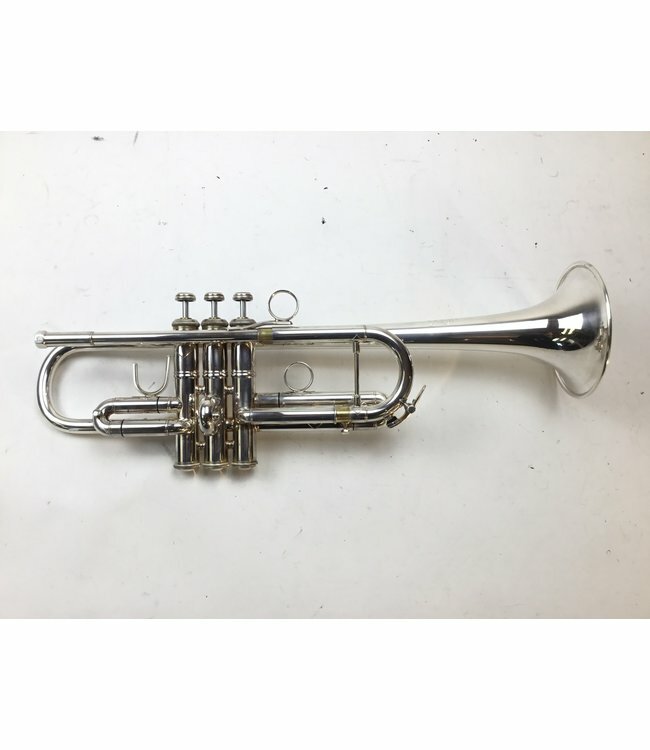 Used Bach Stradivarius model 229 large bore C trumpet with 7R reverse leadpipe and rounded tuning slide in silver plate. Overall good condition with minor repair evidence throughout, not affecting playability. No case.